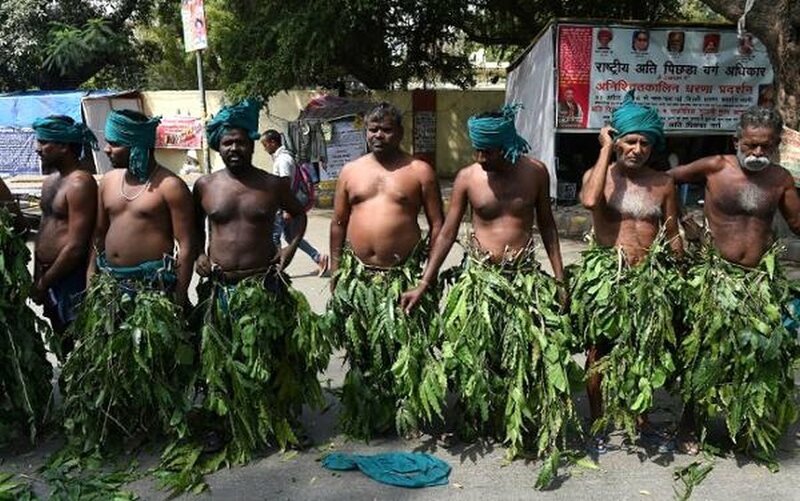 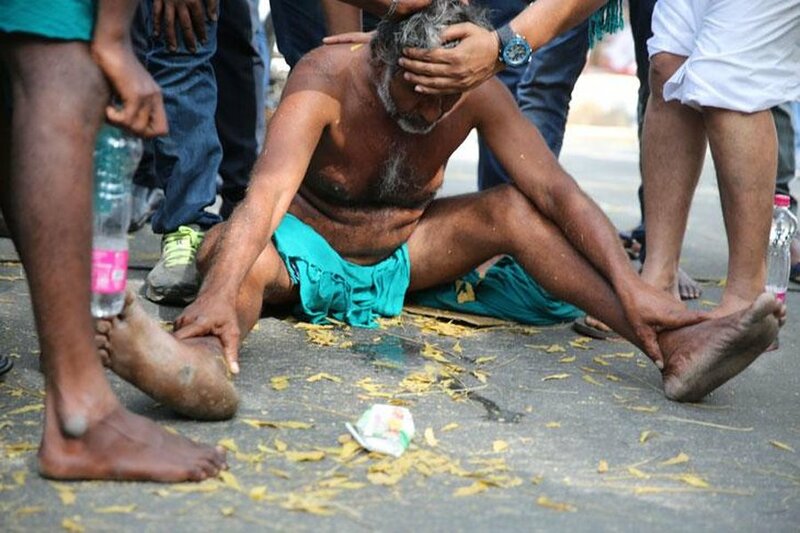 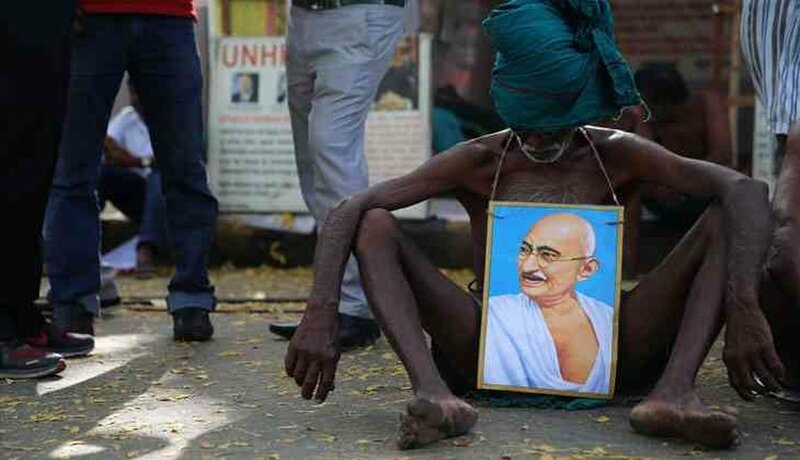 On Monday, about three farmers stripped outside the Prime Minister Office in North Block, New Delhi, India after the PM didn’t meet them despite assurances. 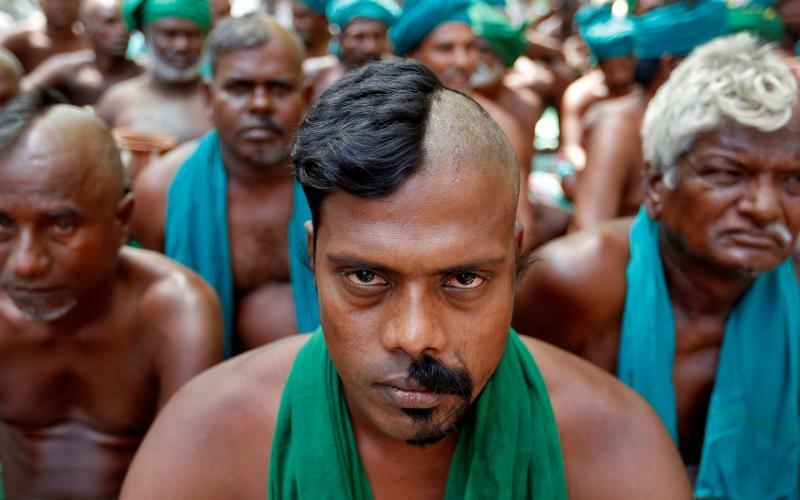 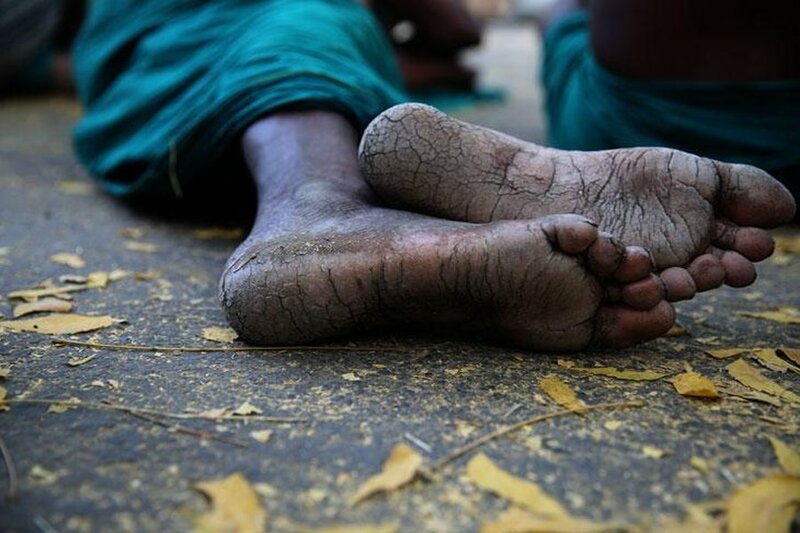 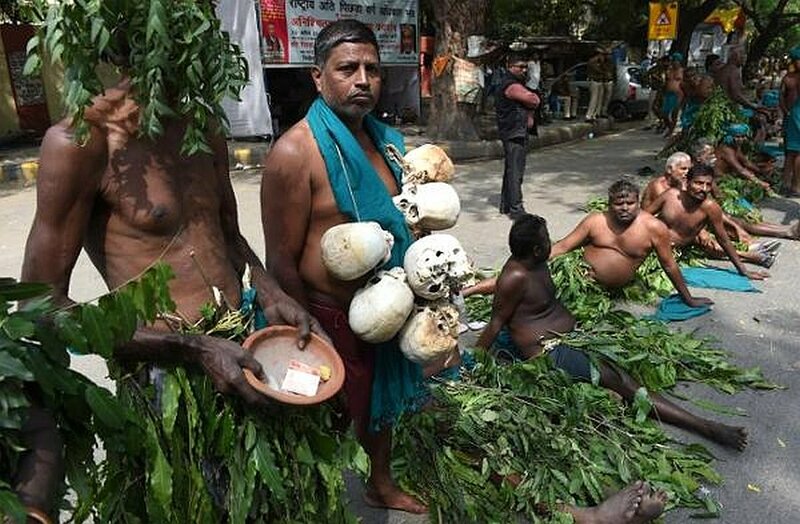 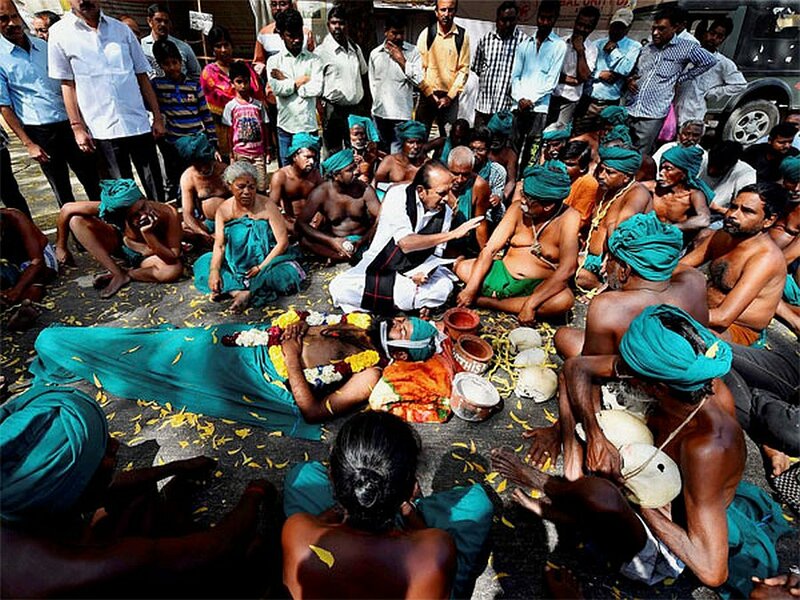 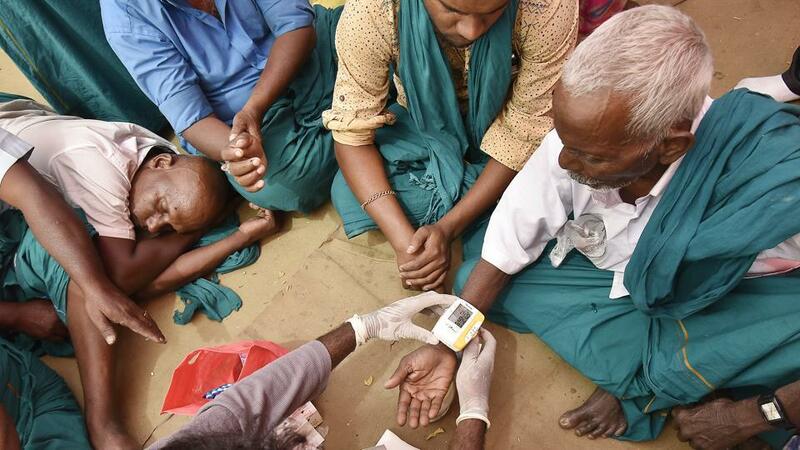 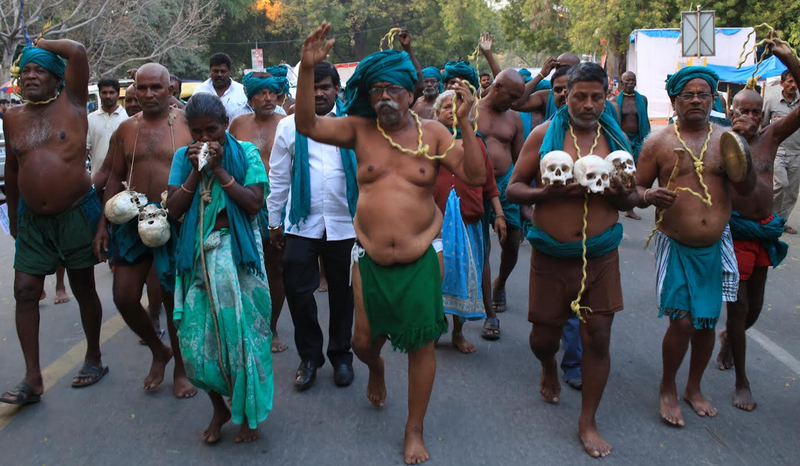 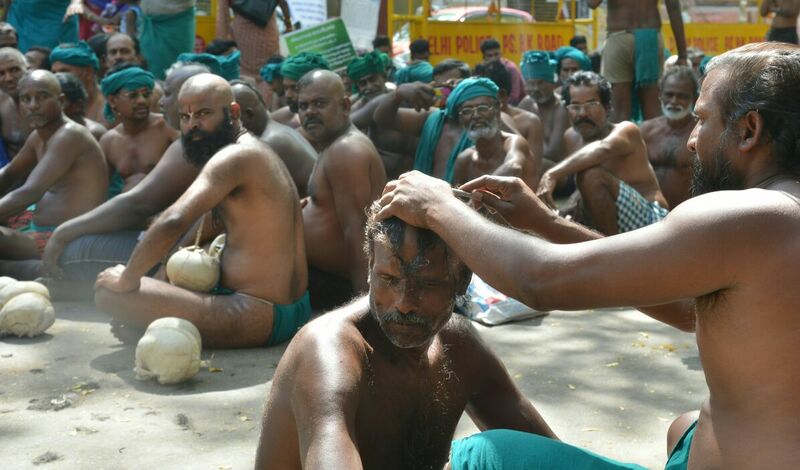 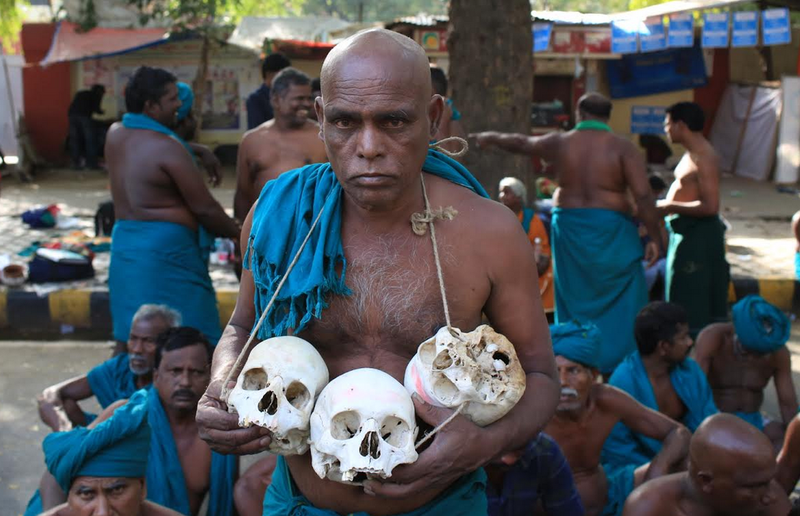 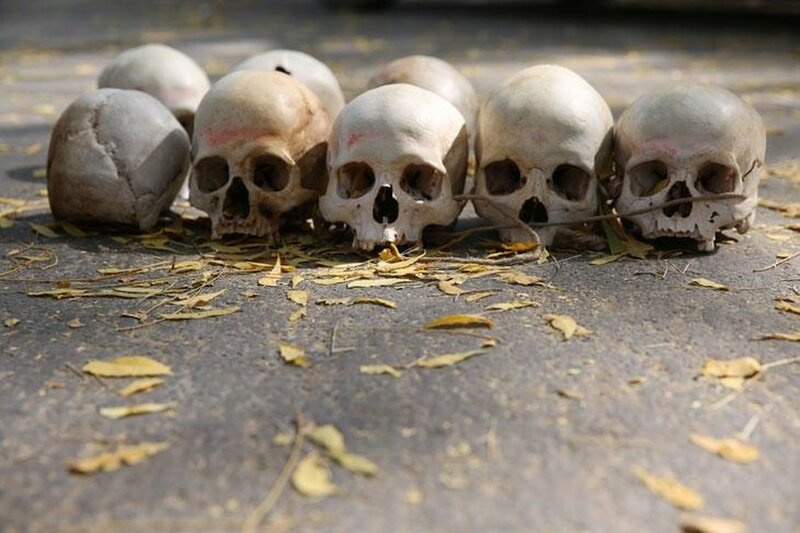 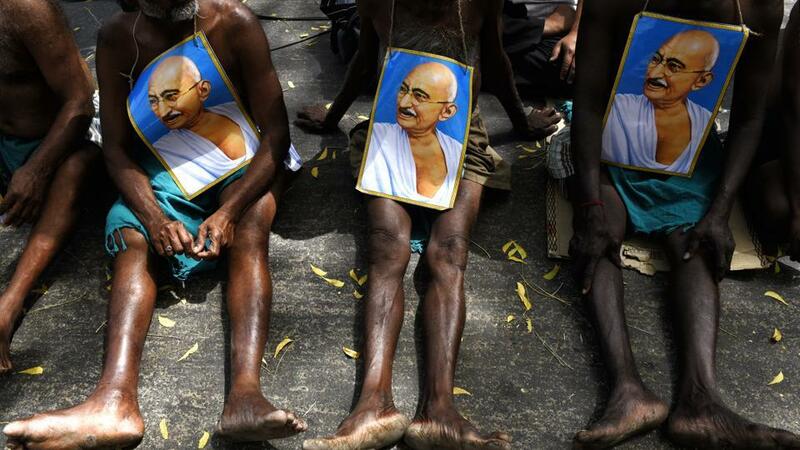 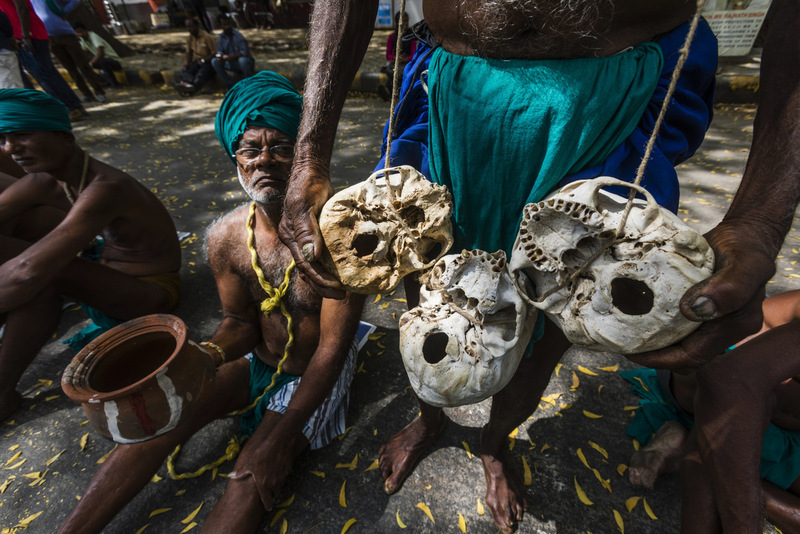 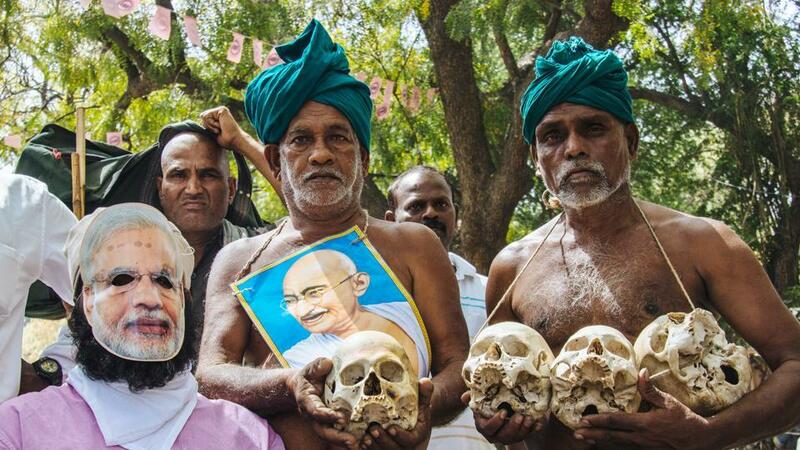 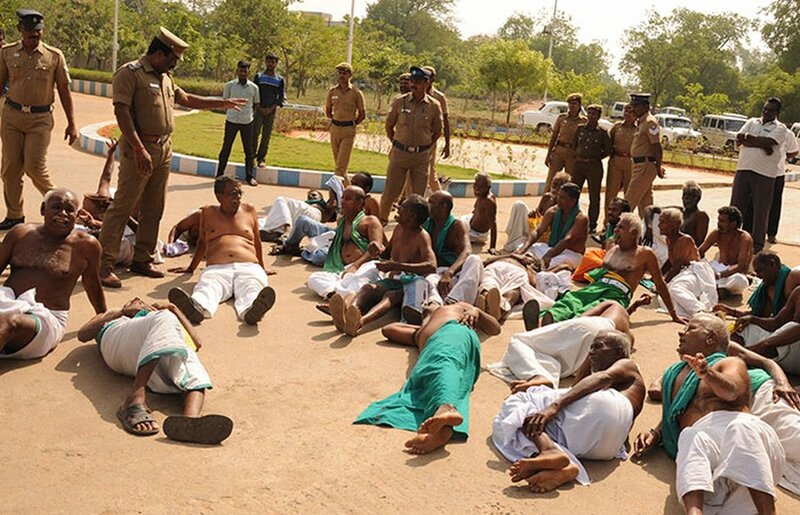 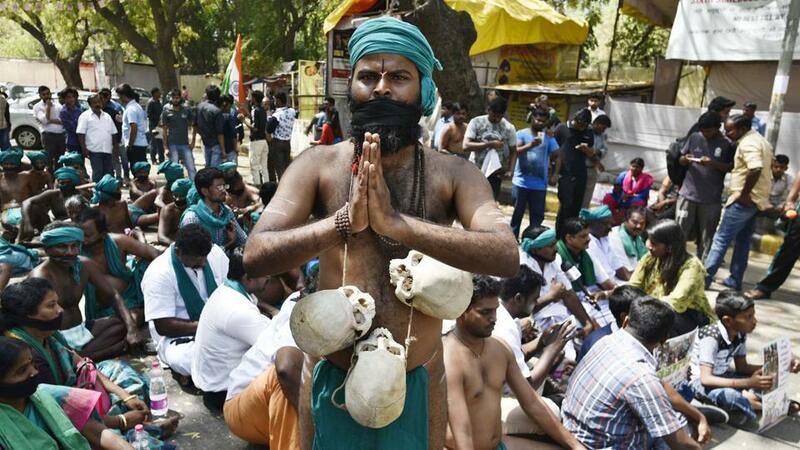 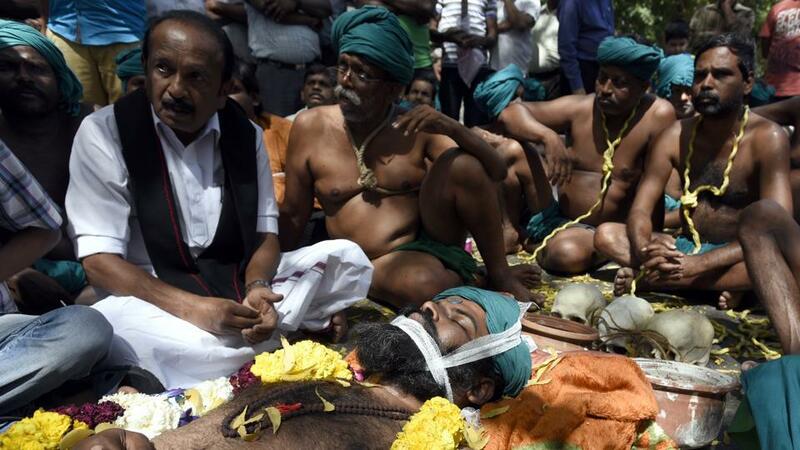 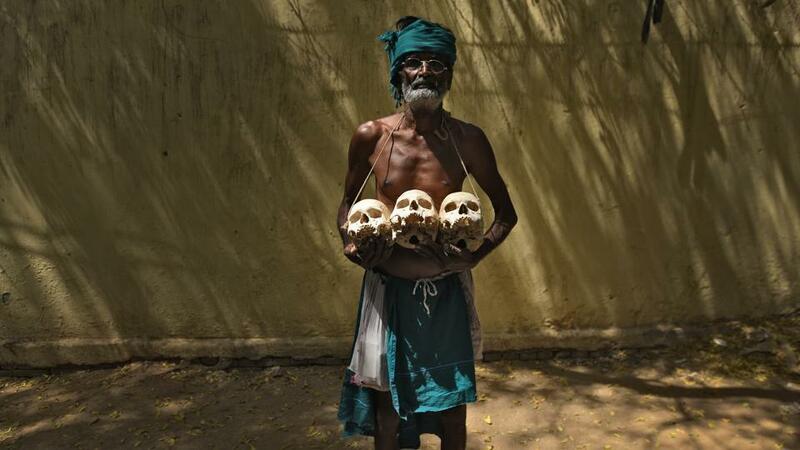 It’s now close to a month, about 100 farmers from Tamil Nadu’s Cauvery region in India have been protesting at Jantar Mantar in Delhi, demanding drought relief package of Rs 40,000 crore from the government of India. 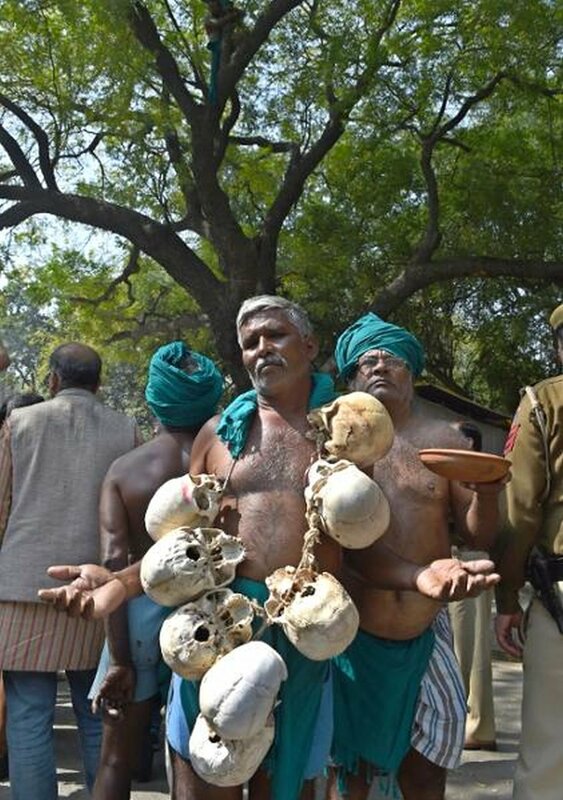 It is noticeable that the state is reeling under drought conditions since past couple of years. 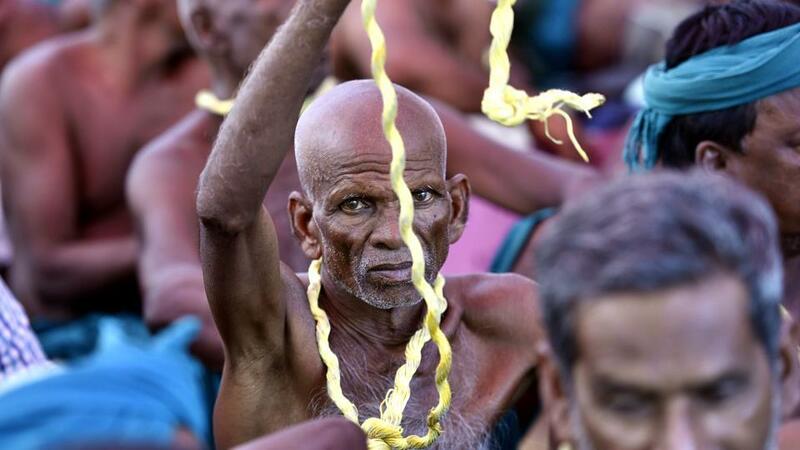 Every year, the situation is intensifying and this year, the farmers are struggling even for food. 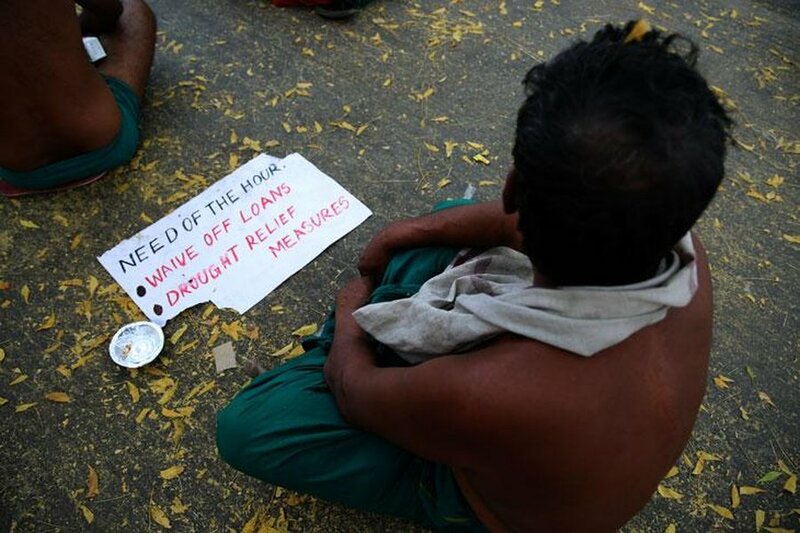 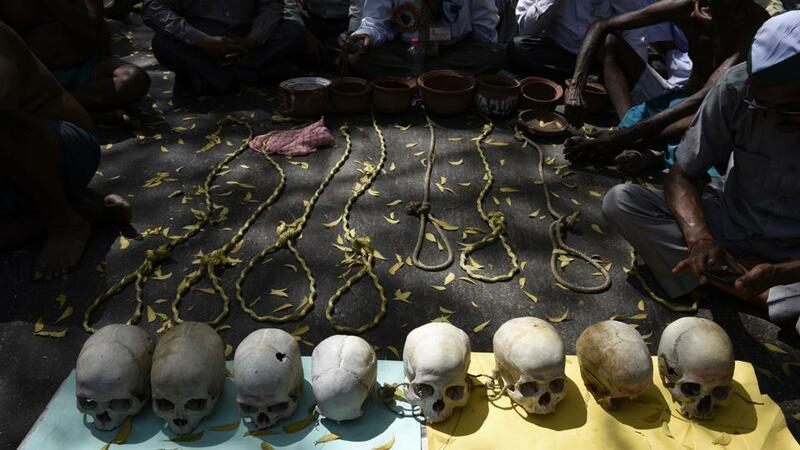 Debt ridden farmers are committing suicides to escape this misery. 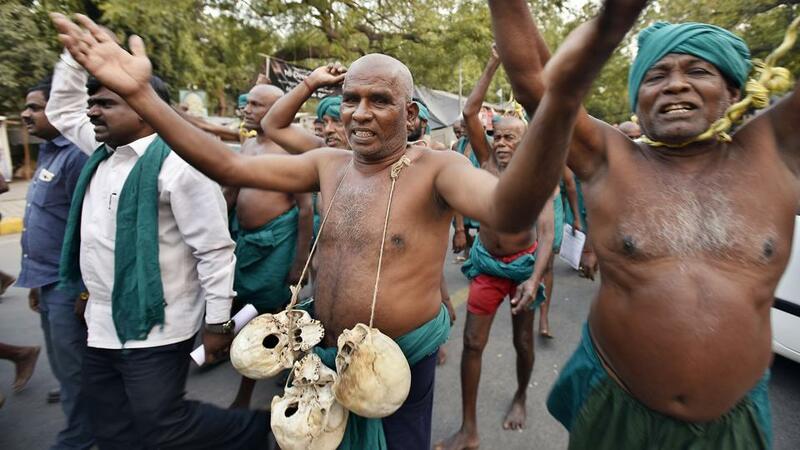 As no one paid attention to them, the farmers are forced to adopt weird methods to stage protest. 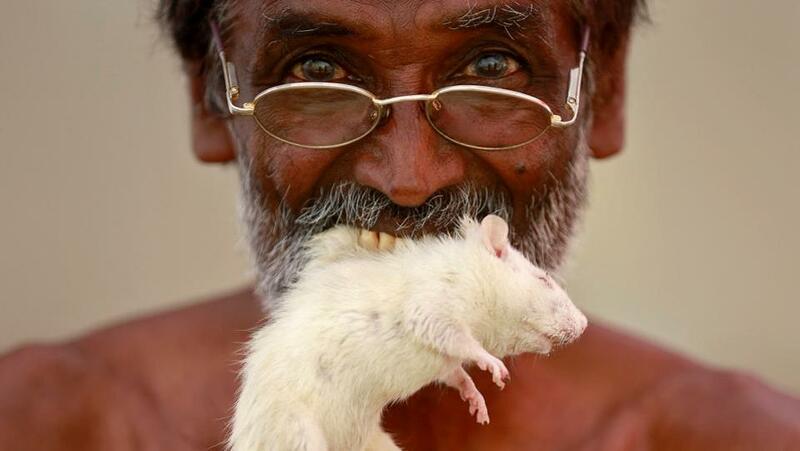 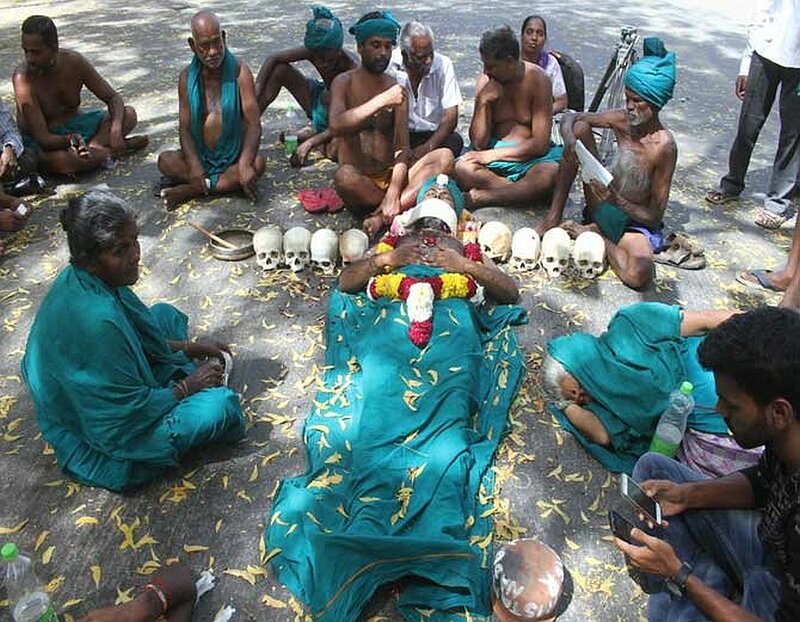 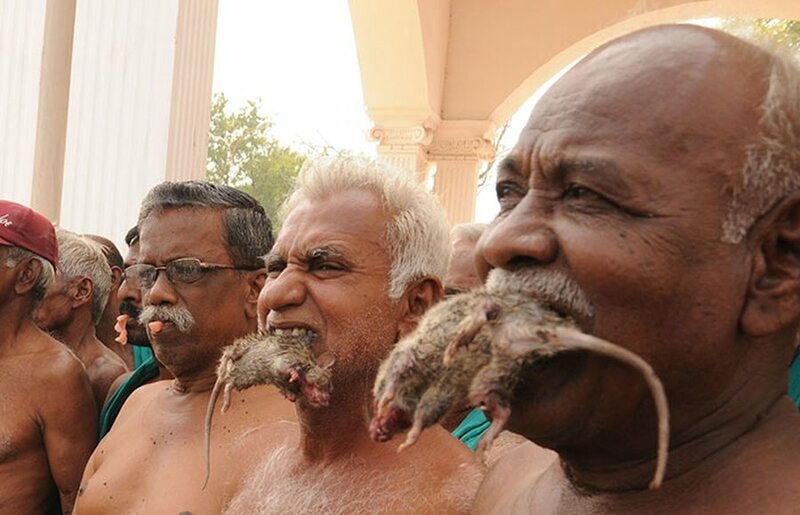 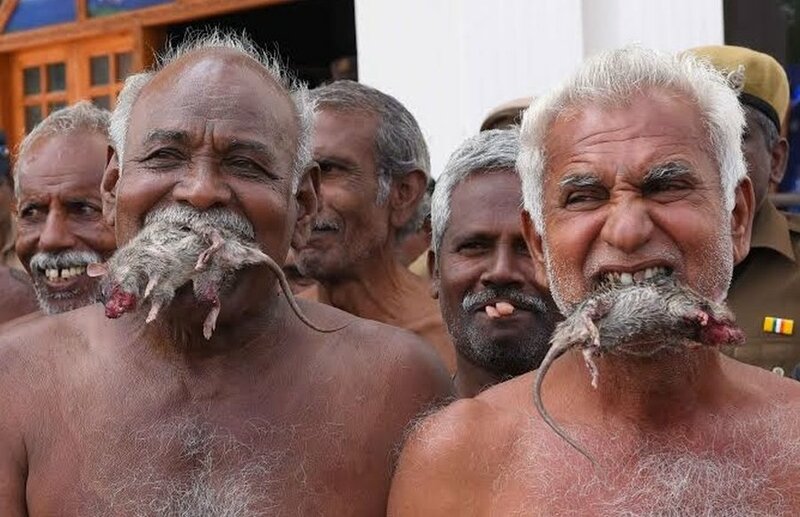 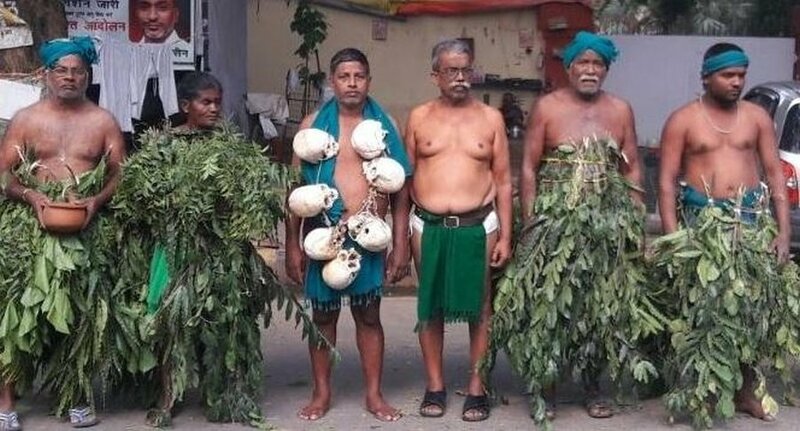 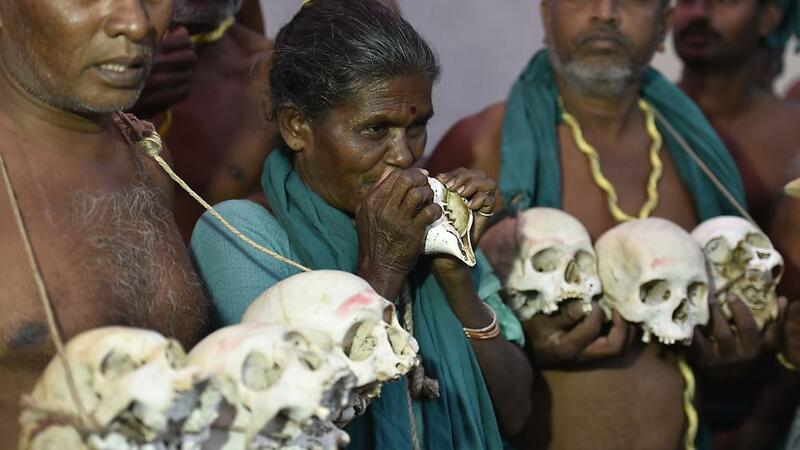 They are protesting with dead snakes and rats in their mouth to tell the government that they have nothing else to eat. 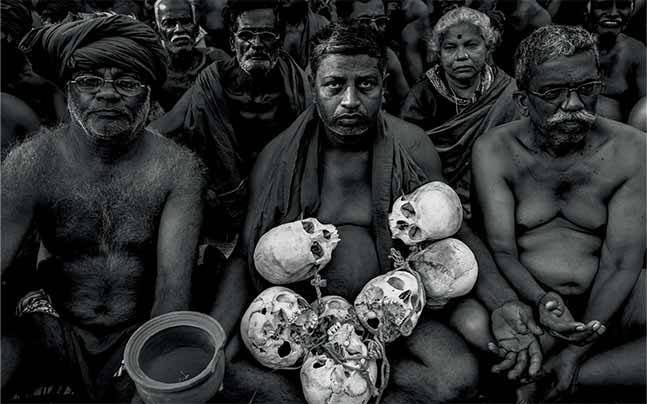 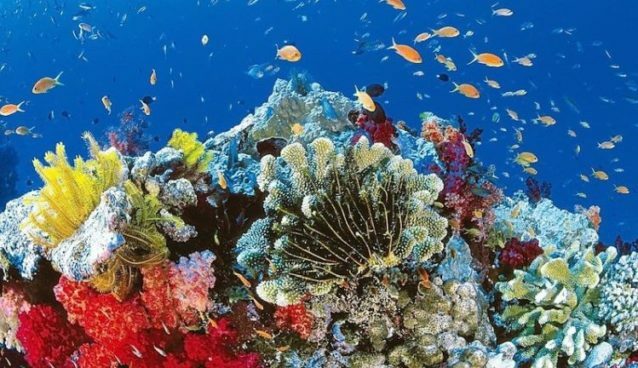 Some of them shed blood by cutting their palm. 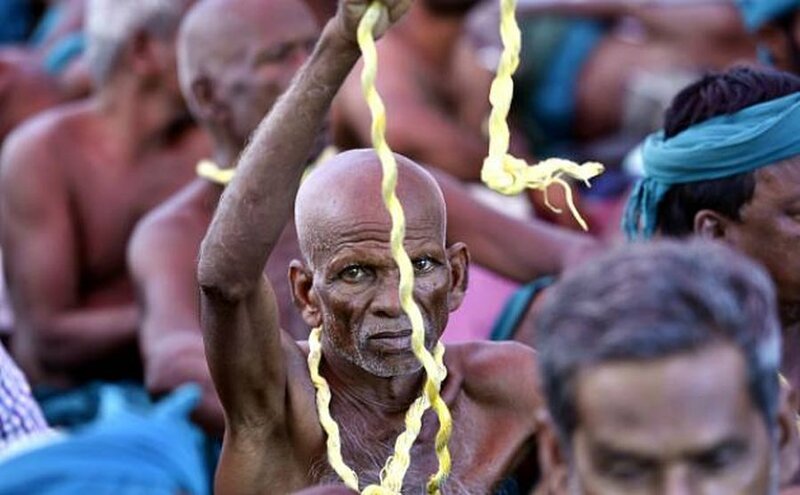 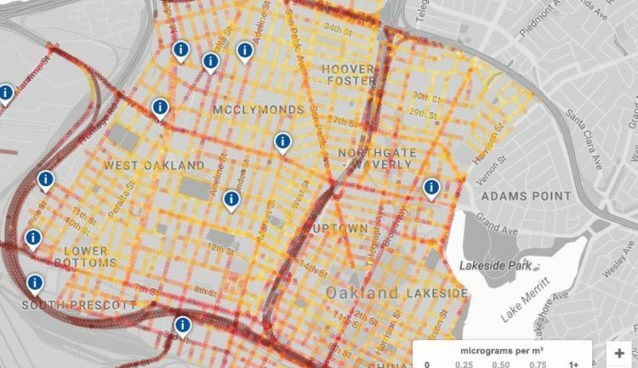 They are trying to tell the government that blood in their veins is the only possession they can offer to the government. 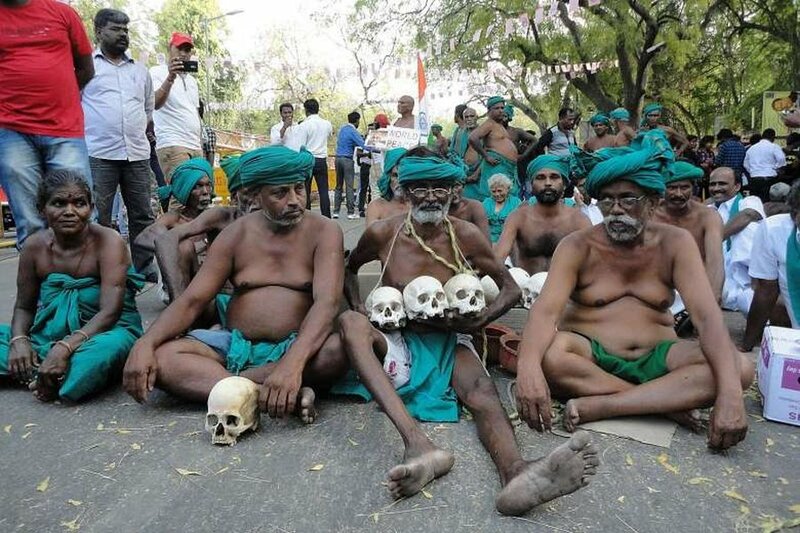 Today, a delegation of farmers was taken to the PMO office with a promise that the they’ll get to meet the PM. 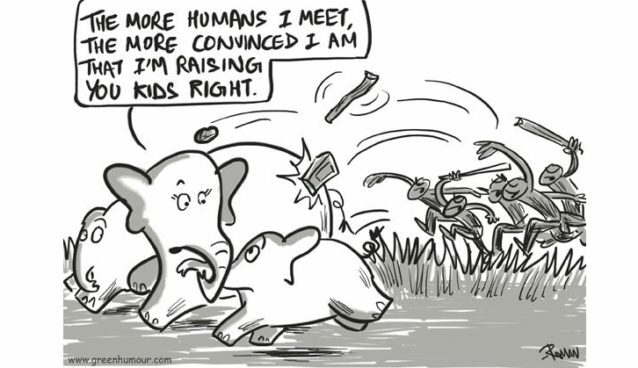 However, they weren’t. 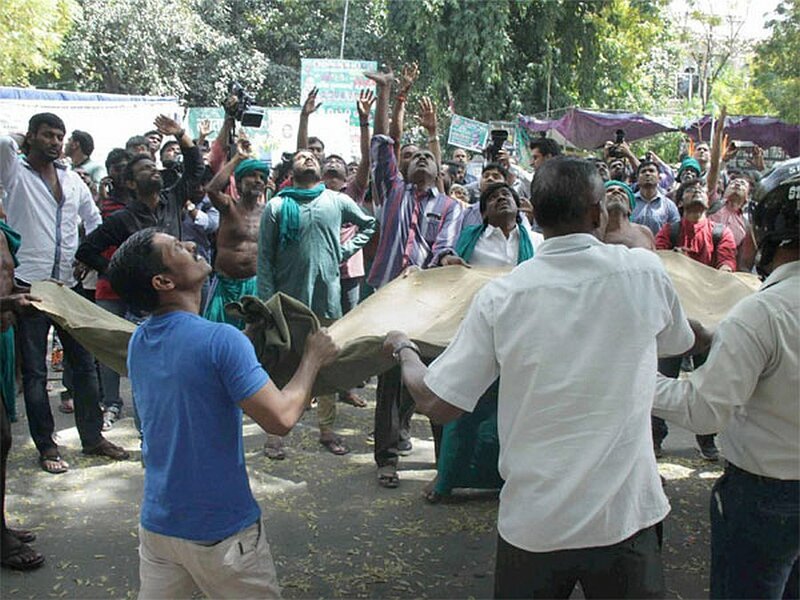 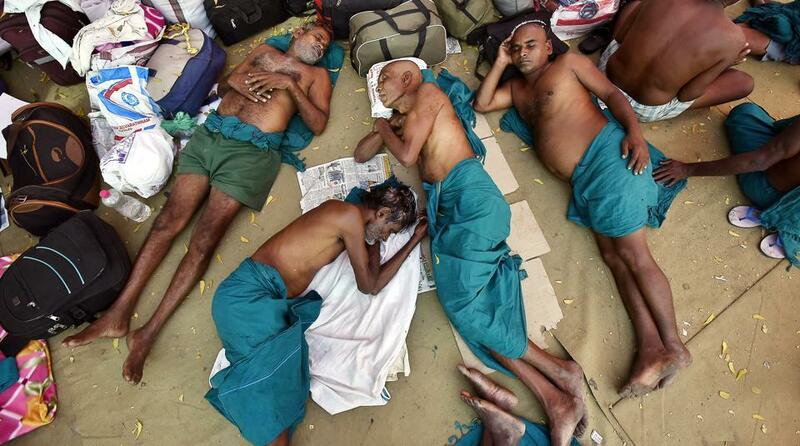 So, some of them stripped in protest right in front of the PMO Office. 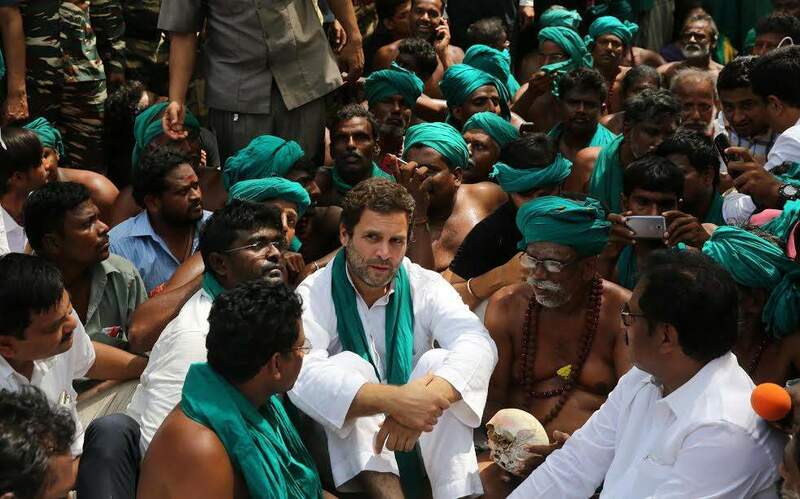 Their additional demands include farmers’ loan waiver and the setting up of Cauvery Management Board for unbiased distribution of Cauvery River water between Karnataka and Tamil Nadu. 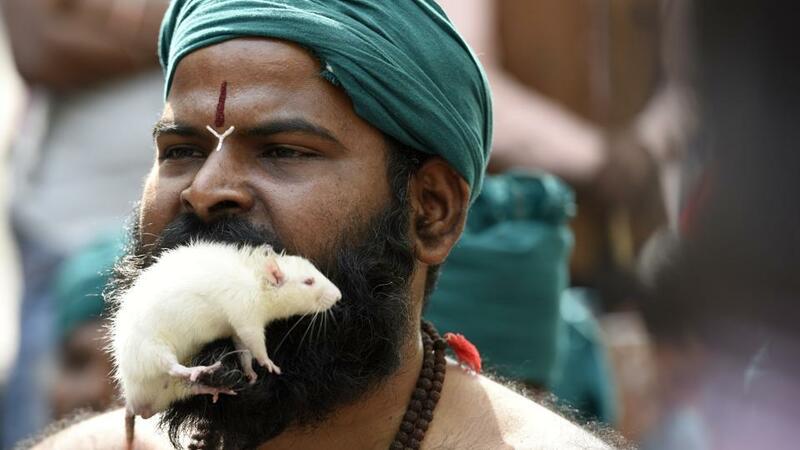 It’s not difficult to tag India as a country of strangest biases! 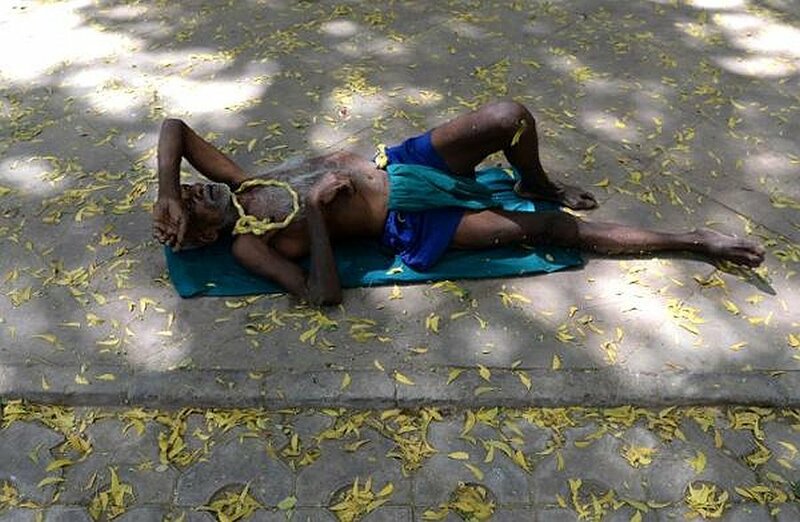 A state can waive off loans of marginal farmers to the tune of 1 lakh rupees and guarantee a substantially higher produce price for food grains to farmers in a state ruled by same party as the one in the Centre – and on the other hand, a state, with different (rival) ruling party, reeling under the worst drought in a century, has farmers protesting for their lives in the country’s capital, but there is nothing to put their way. 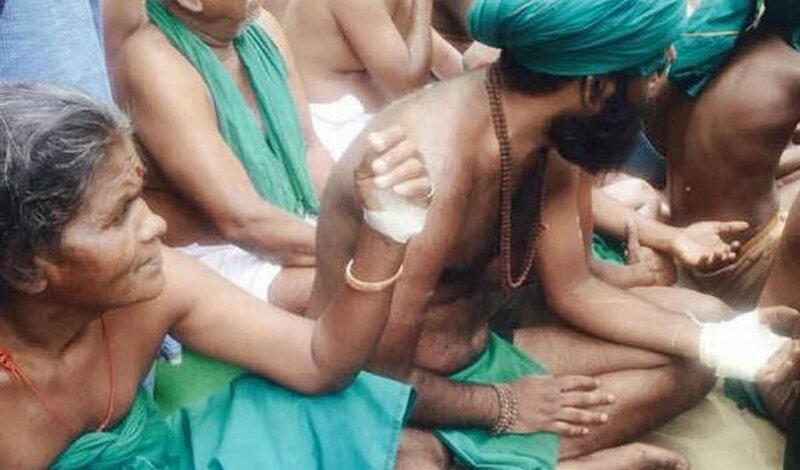 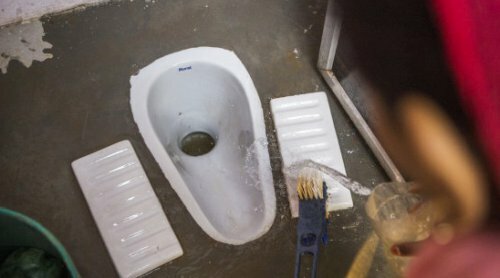 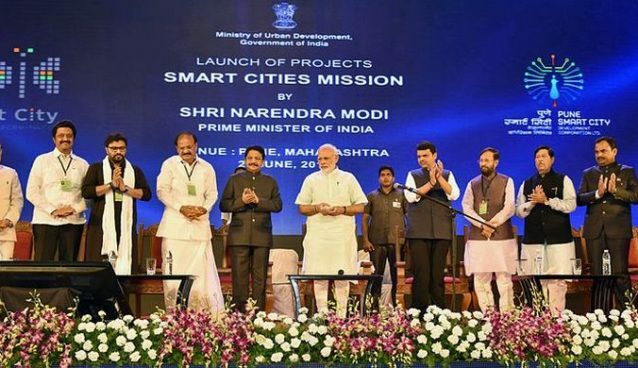 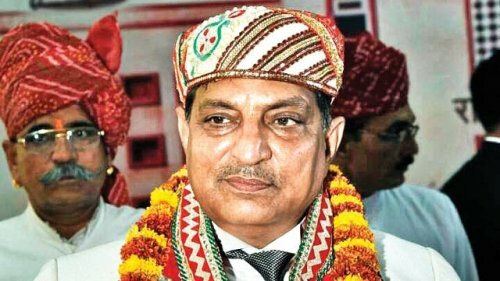 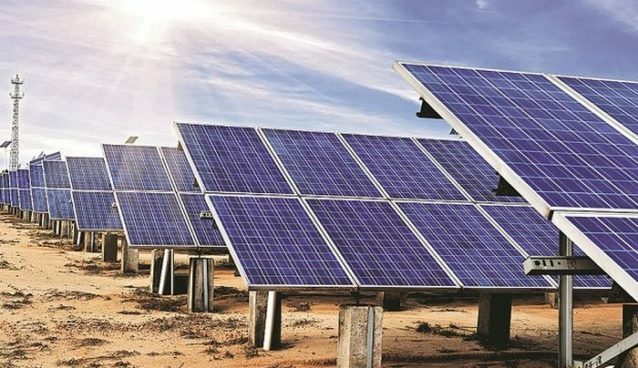 While the Indian mainstream media has been heavily engulfed in Uttar Pradesh and its newly elected Chief Minister Yogi Adityanath – his noble decisions and life since birth; the farmers from Tamil Nadu, clad in dhotis barely covering their groin and turbans occasionally remove to wipe their sweat and tears, have gone completely unnoticed.